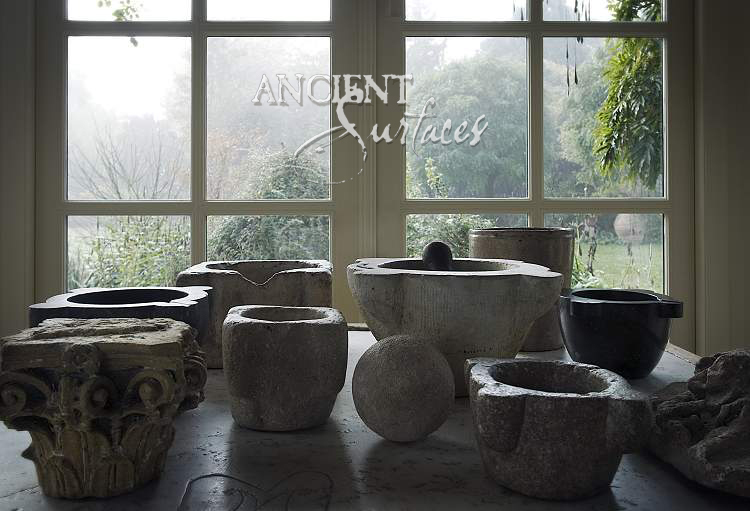 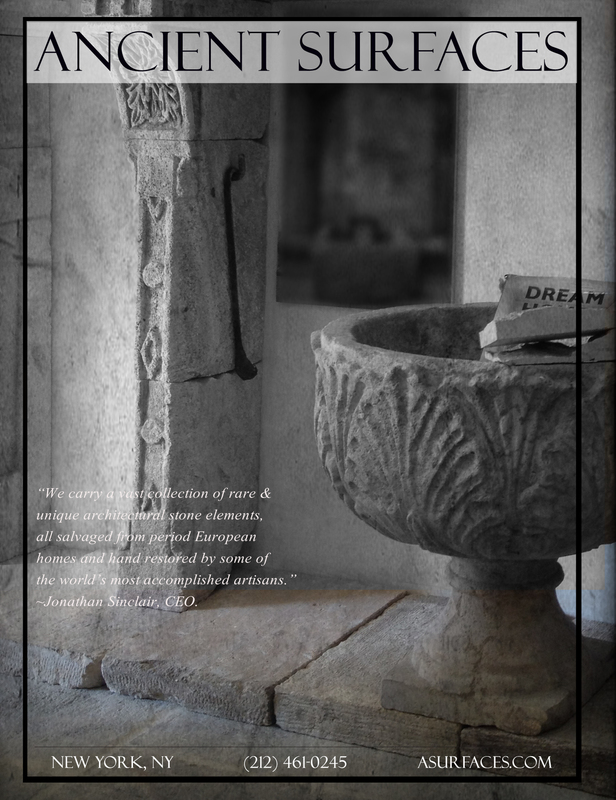 About Ancient Surfaces | Antique Stone Fountains by Ancient Surfaces. 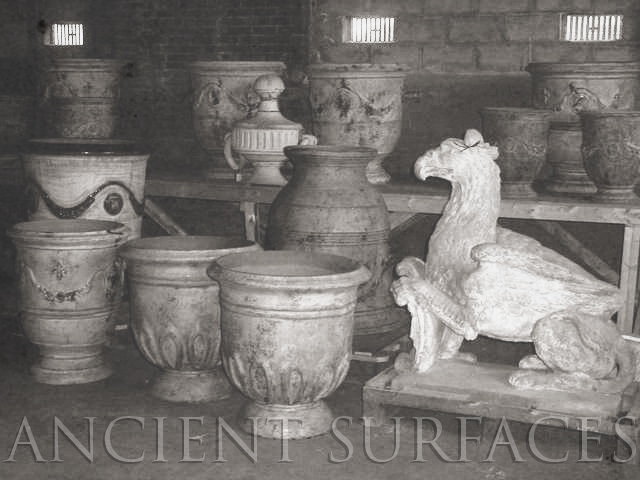 Our Restoration Studio, Ancient Surfaces. 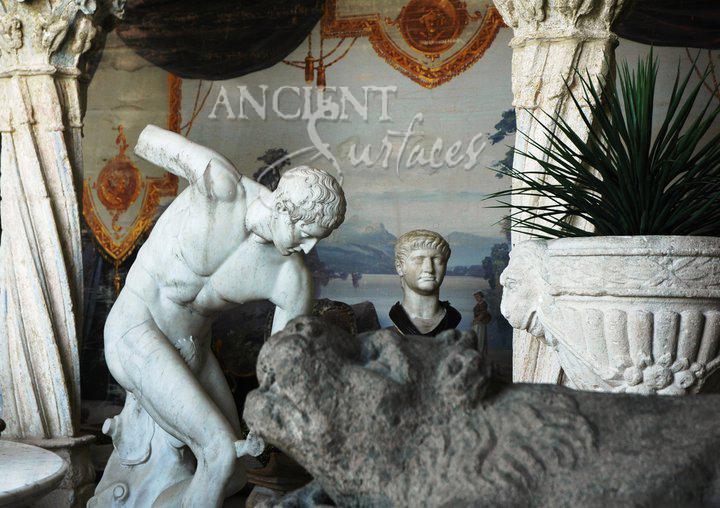 This site is brought to you by the people of Ancient Surfaces Headquartered in Europe and the Mediterranean. 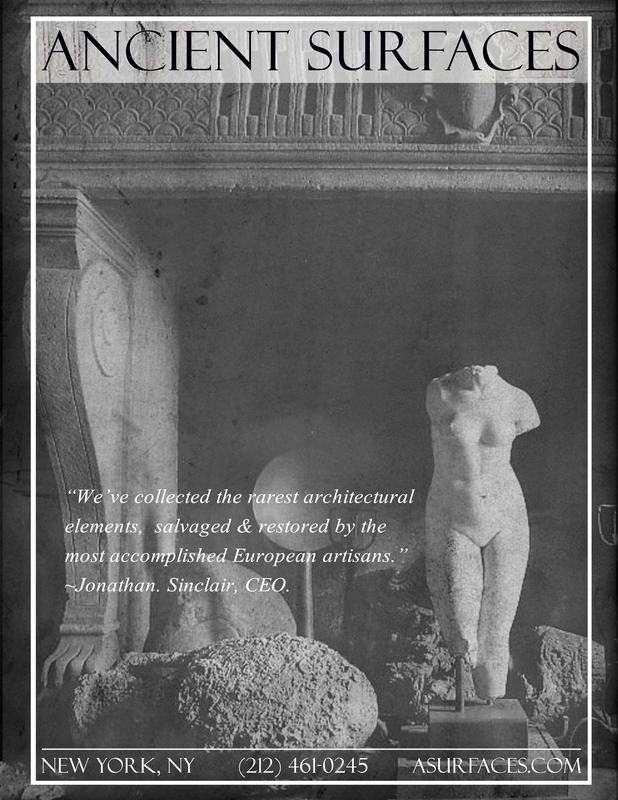 For the past seven years our chief creative director and designer has been carefully restoring and diligently supervising the piece by piece reassembly of every antique stone fireplace mantle that we have reclaimed in the past 45 years. 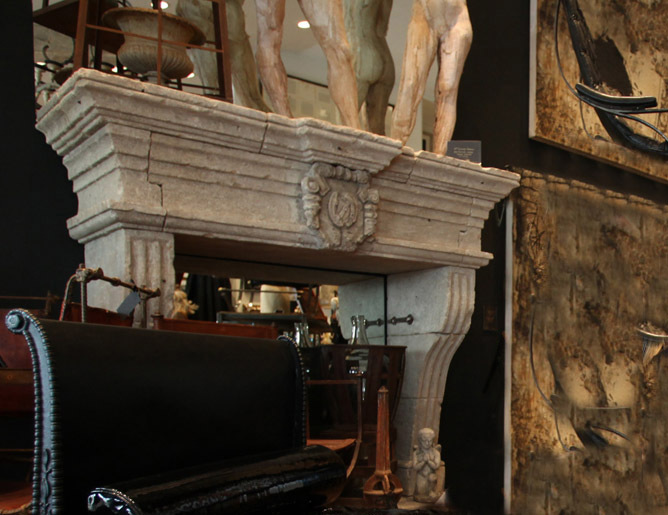 She and her French team merges their scholastic savvy of historical ratios and architectural scaling when restoring each of our unique salvaged art pieces. 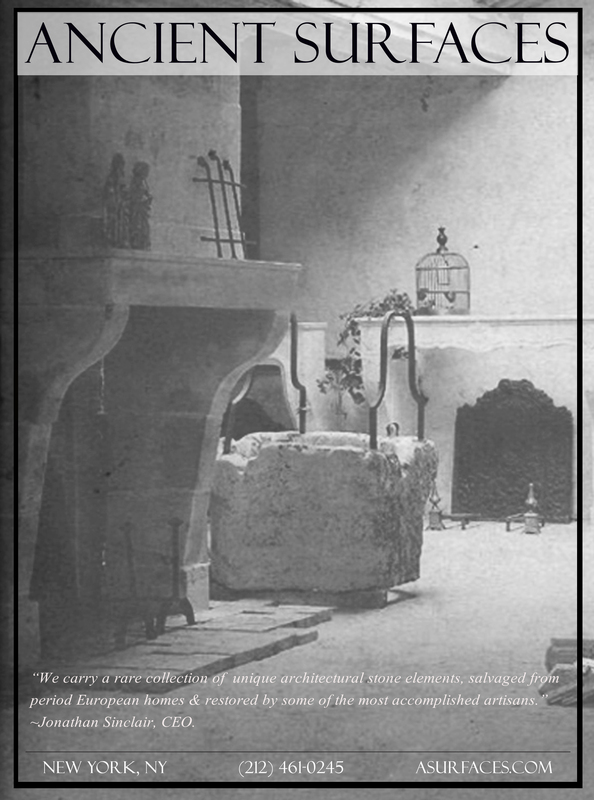 Our goal thru this blog is to start sharing the massive wealth of information and know how as well as the thrilling tales of reclamation and restoration we have experienced in our near 5 decades embodied in our unique imagery of the journey of our nearly ruined mantles that we reclaim, restore and finally unite with a new abode sometimes half way across the world. 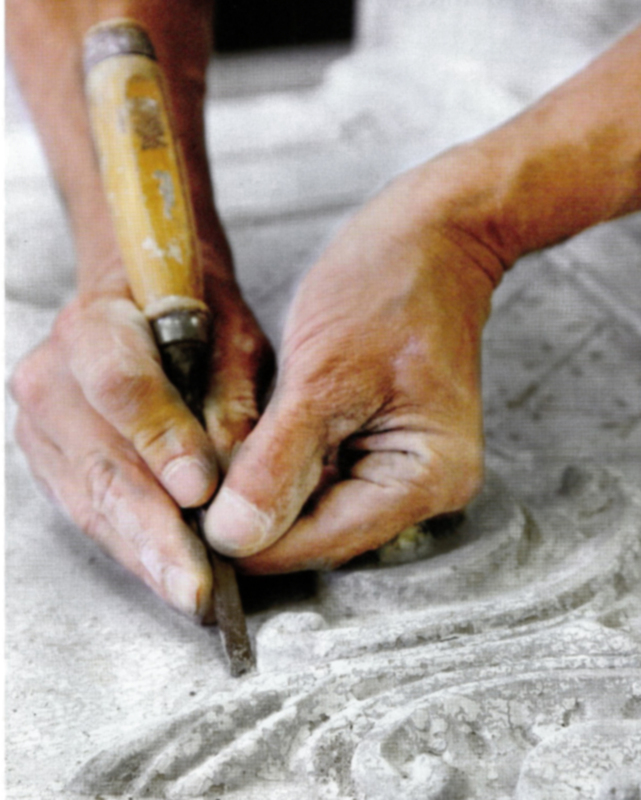 We still consider ourselves apprentices who constantly are in pursuit of perfecting our craft by learning more and more about our past and how to better consolidate it with our present because once you stop learning you stop caring and stop growing as a company or as individuals.